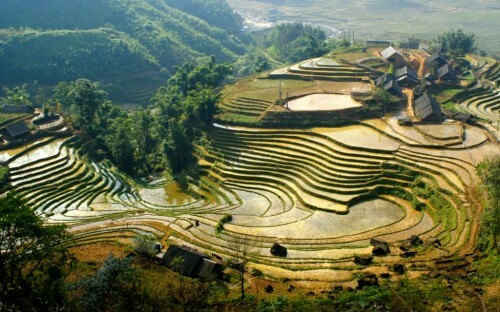 Cheap flights to Vietnam: Ho Chi Minh City for €486! 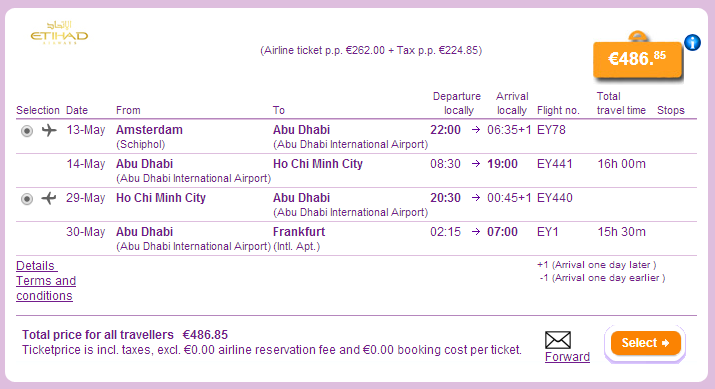 Etihad Airways now offer cheap flights to Vietnam. Multicity tickets Amsterdam – Ho Chi Minh City (Saigon) – Frankfurt/Berlin/Munich/Hamburg/Dusseldorf are available for €486. Return is possible to any of these German cities for basically same price. 23 kg check in luggage is included. Travel dates are from Monday to Thursday until June. Connections are perfect with just one short stopover in Abu Dhabi. Book on BudgetAir for the best price (click on Show extra search options). « Cheap flights to Iceland: Reykjavik for only €206!